I was listening to Sally Clarkson and Kristen Kill on their podcast yesterday and their discussion came around to this very topic and it reminded me of how I used to feel (and truth be told, sometimes I still do on a particularly challenging day...) before I paid attention to the needs, desires and whispers of my heart. Sally went on to say, that you can't deny your 'emotional and physical' needs consistently as sooner or later, you'll end up being in pieces. She states: 'no-one can take care of your happiness, only you' - isn't that the truth? Sally talks about 'building rhythms into our lives' for daily nurture time and that life is not about being 'dragged across the finish line' but rather to embrace life. Sally shares that the '... best gift you can give your child [husband, parent, work colleague etc] is the gift of being a content and happy person'. Once upon a time, I used to suffer crippling depression and whilst the 'outside world' couldn't have guessed, my family certainly could. As I started to feel better, I did a number of things but the thing I've come back to, is endeavouring to listen to what my heart needs as best as I can. Enter art! Art fills me up and reminds me of who I am. It helps still my mind from its incessant chatter, encourages me to 'see' beyond myself and teaches me that I'm abundantly loved by God. What stirs your heart? What are those whispers you are trying to ignore? How can you practically tend that weary heart of yours? Are you an introvert or extravert? Are you in desperate need of some space to 'be' or a favourite friend to enjoy a cup of tea and a chat with? If picking up brushes and dipping in paint does that for you, please do this for yourself. If it's gardening, sewing, having a vintage tea party with friends - whatever it is, take this time and do it regularly. Journal what comes up for you and then take some small action towards a positive change. If what I've shared resonates, you have some tips/suggestions or just want to share your heart, please leave a comment below. 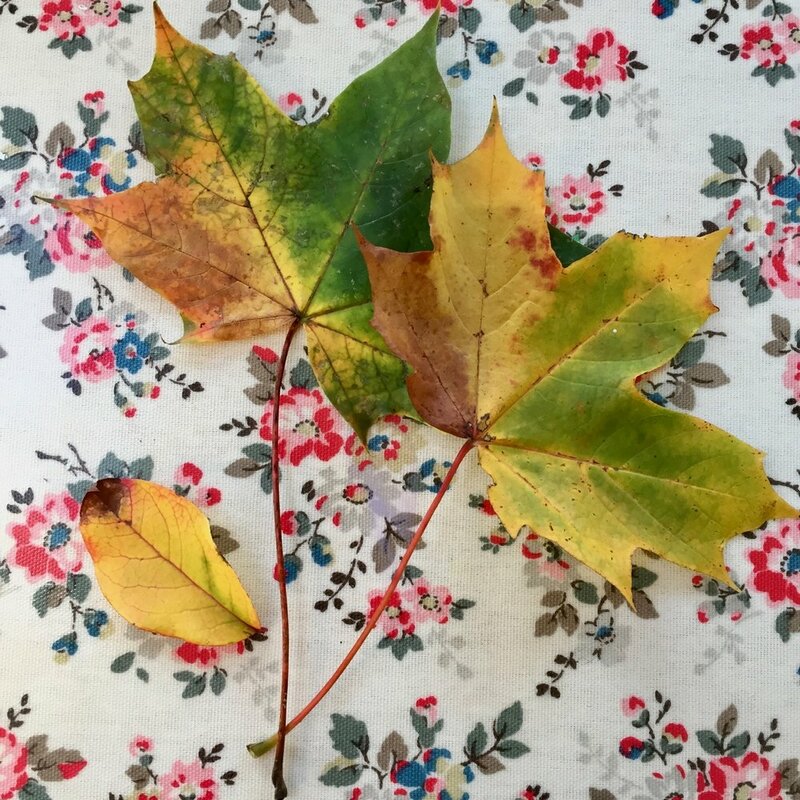 Do you dread the dark nights, cold days and grey skies of late autumn and winter? 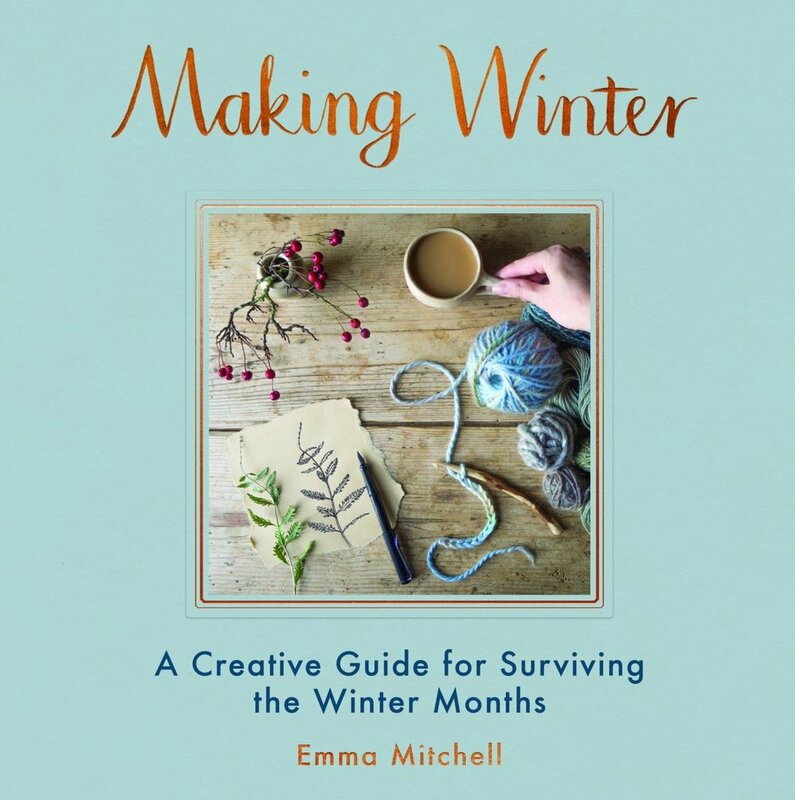 I've just purchased this inspiring book (see left) that's just recently been published called Making Winter - A Creative Guide for Surviving The Winter Months by British designer/maker, illustrator and naturalist Emma Mitchell for a dear friend - I instantly fell in love with the projects and nurturing words and wanted to share it with you. Also, this really got me thinking about the topic of SAD. For sufferers, symptoms can start anywhere from September to November and last until Spring! Occasionally, symptoms are reversed and can commence in Spring. SAD is more prevalent in countries where there is dramatically reduced light and big changes to seasons and weather. What follows are just some of the numerous symptoms people endure every year - for example, lack of concentration, sleep problems, panic attacks, lethargy, anxiety, overeating, relationship difficulties etc. Approx. 8% of us can experience a 'transient depression, known as SAD' (Seasonal Affective Disorder) as per Emma's book in her introduction. According to MIND 'SAD can also worsen symptoms of existing depression that you experience throughout the year'. Treatment options include lightboxes (light therapy) as well as various other treatments like Cognitive Behavioural Therapy (CBT), medication, specialist SAD services etc. However, I believe creativity can also play a helping role and this is what my video below is all about. Emma (and I) has personally found (and research often backs up), that by including creativity into our daily lives whether it be using yarn, collecting treasures from nature on walks, colouring in, baking or painting etc. can bring numerous benefits to mood, stress and anxiety levels etc. 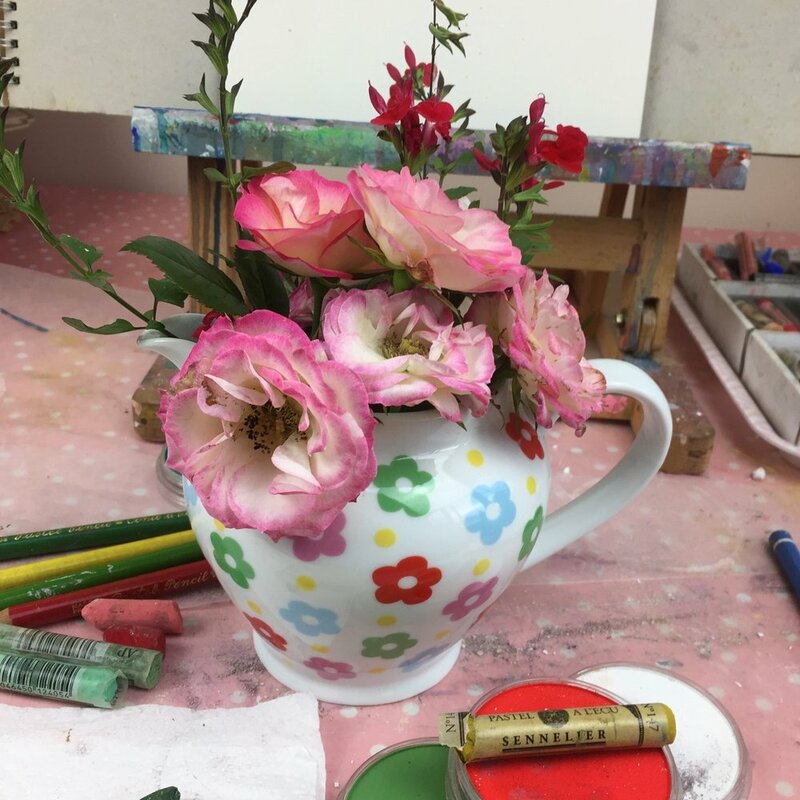 I really hope you find the above resources helpful and that you give soft pastel a little go. 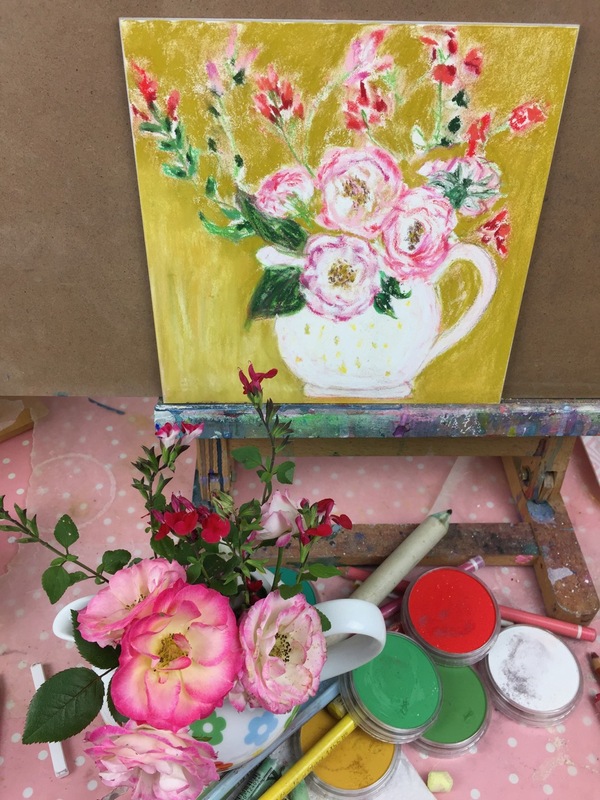 If you have a favourite creative activity that you turn to in the winter months, please share - I'd really love to hear. Note: If you are having difficulty with any of the above symptoms, please consult your doctor. There's a million ways to create a portrait. She's not 'technically' great by any means but she's real and she's expression of me. Of course, there's space for 'realistic and technical' (as in my class - Portraits In Time) but I also feel there's merit in 'getting it out' and not being scared of the consequences. On the original, I had written some words that popped into my head that I needed to hear at that moment. I could have and might do, some additional writing but in my journal. You could do the same. Below shows the same image with a little bit of tinkering via my iPhone - again, a whim and a bit of fun but valid all the same. How about you, do you give yourself permission to 'let it all hang out'? Please do and let me know how it goes over on Instagram. I'm thrilled to announce registration is open for my new online class Portraits In Time. I adore portraiture, all things vintage, art history AND I'm always fascinated by the lives of our female 'ancestors'. This class combines those passions (and so much more) and I'm beyond excited to have you join me on this exploration. 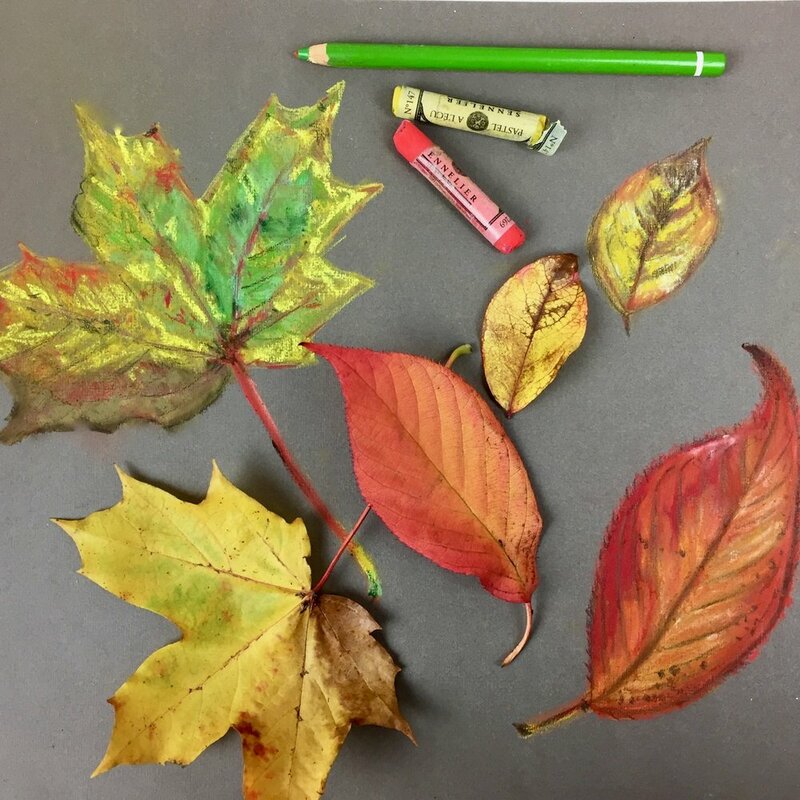 This class combines THREE separate art projects, PLUS a BONUS mixed media project AS WELL AS, three warm up pieces. In addition, there are SEPARATE videos and info. on photo transfer, charcoal, watercolour and soft pastel. REFERENCE PHOTOS are provided so you don't have to find your own source material. Being a social/domestic and art history nut, I've included some INSIGHTS of some amazing and well-known WOMEN (and a couple men) from the late 1800's - early 1900's. I believe this aspect to the course is a beautiful compliment to the MAIN focus of the ART. I'll also share any RESOURCES that I've found interesting or useful ie. books and links etc. - of course, since you have 'lifetime access', you can dip in and out of this complimentary aspect to the course whenever you wish.